The Japanese Pattern Challenge: It's Fall, Let's get Sewing! It's Fall, Let's get Sewing! Another summer has come and gone, and with the arrival of Fall it's time to get sewing again. I'd taken a break from sewing to work on some household projects this summer, and I confess that they're all pretty much half assed done. The banister got put up, but still needs painting. And the drywall repairs.....well, let's just say that it's not my specialty. It makes such a mess that I talked myself out of doing it repeatedly. It was much easier to cheat on my "summer projects" and sew some Jeds instead! I made two pair of shorts, which were badly needed. I'd made some pretty crazy clothes in the spring. Fun... Yes... but I was in sore need of some basics. Both shorts are hacks of Thread Theory's Jedediah pants. There's a tutorial on their blog showing how to remove the back yoke and add welt pockets. This has become my preferred way of making them, not that the original pattern is bad. It's just nice to have a choice. 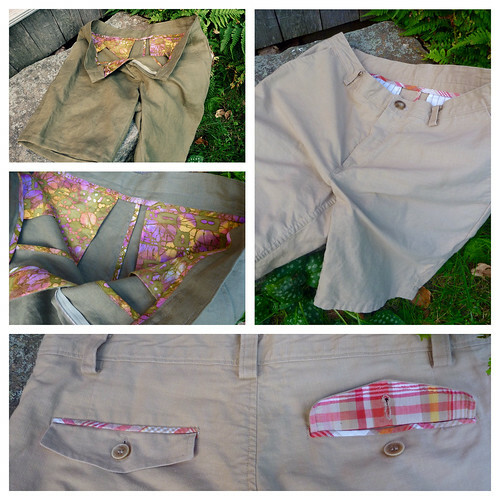 One pair is made up in an olive green linen with fun colorful batik pockets and bias trim. 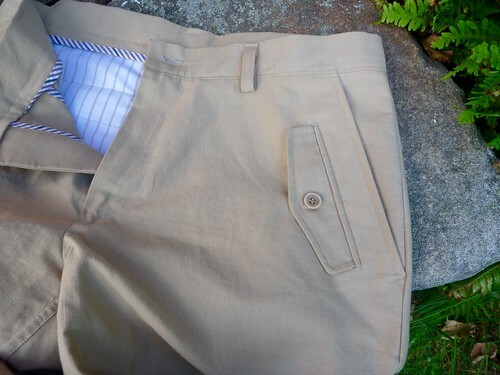 The other is a textured cotton khaki with madras plaid accents on the rear welt pockets. I had fun wearing these with my Watanabe inspired fishing vest, even if I was accused of looking like an extra from Troup Beverly Hills! I had lots of the khaki cotton left over so I banged out a pair of pants. Again, basics that I really needed. This time I skipped the madras! I added an extra welt pocket on top of the left side pocket for my cell phone. It's basically a rear welt pocket just turned on its side. It was fun to do, practical, and I like the asymmetry it creates. The real work of the summer, however, was wrestling a 600 lb. 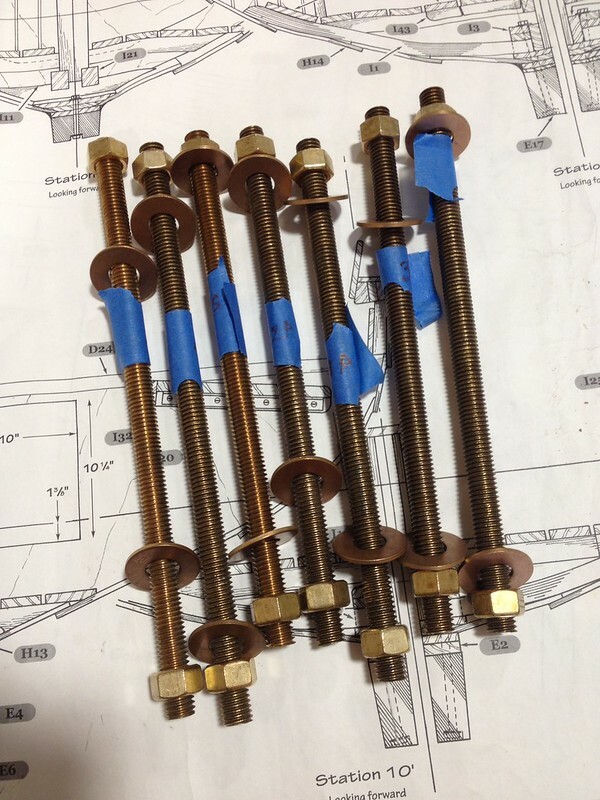 lead keel under the boat. I won't go into all the gory details. 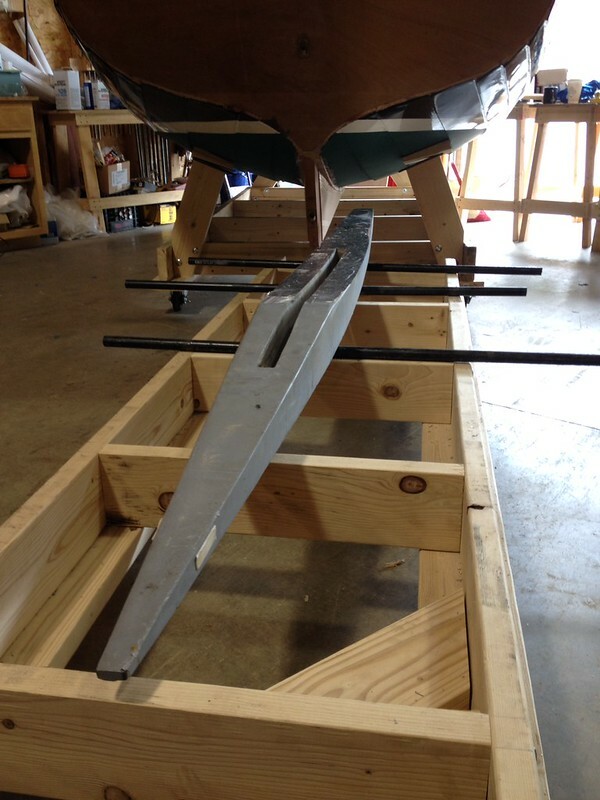 I'm just glad that it's finally fit and rolled under the hull one last time, waiting to be bolted on. Hopefully that can happen within the next couple of weeks. But back to sewing! What's on tap for Fall? Splash on a ton of Z-14, and dig out those BeeGee's LPs. It's HALSTON, baby! Can't wait to see the new project! Clothing designer, boat builder, 70's Halston historian - Renaissance Man! Nice welt pockets! Sounds like you have some interesting projects coming. Good to see you back! Beautiful sewing, those pockets are awesome. Beautiful work! Love those pockets. So glad you are back. You have the most interesting details on your clothing. The boat building looks impressive. Yeah, glad you're back. Love the shorts; you do such good work. Can't wait to see your take on Halston. I was looking forward to to your come back. What beautiful inside details, on your shorts, because apparently your house is not as lucky hihi. I am making pants as well at the moment, and I should try to get the same beautiful result!